Emailing Behaviors: Do Business and Personal Email Accounts Overlap? Here at Avatier, we wanted to know what percent of people keep their personal email account separate from their work email. Rather than making assumptions about what the current email behaviors were, we ran an independent and anonymous survey. The infographic below reveals the insights on current email behaviors, including data breakdowns by gender, age, and location. According to Avatier’s independent and anonymous survey, nearly 4 in 10 people use personal email accounts for work-related emails, and there is some variation in the frequency with which people use their personal accounts for work messages. How often do people use personal email accounts for work-related emails? In a similar integration of personal and work email accounts, we found that nearly 1 in 4 people use a work email address as a login for a personal account. Again, for this metric there is variation in frequency. How often do people use a work email address as a login for a personal account? The last metric we looked at was forwarding work emails to personal email accounts. The data revealed that 16% of respondents forward work emails to their personal account. How Does Age Factor In? After analyzing the data, we found that the old and the young are most likely to blend the use of personal and work emails. Ages 18 to 34 and ages 65+ have rates of using personal email accounts for work-related emails that were higher than the national rate of 37.8%. On the flip side, ages 35 to 64 had rates lower than the national average for using a personal email account for work-related emails. The pattern changes when looking at who is most likely to forward work emails to their personal account. In looking at the forwarding of emails, the data revealed that the groups more likely to forward emails are ages 18 to 24, ages 35 to 44, and ages 45 to 54. The groups less likely to forward work emails to a personal account are ages 25 to 34, ages 55 to 64, and ages 65-plus. Do Email Habits Change by Geography? New York was the strong outlier, contradicting national trends on the use of personal email accounts for work-related emails. Whereas 62.2% of people nationally never use personal email accounts for work-related messages, in New York, this rate was much lower at 32.8%. Additionally, the rates of New Yorkers always using personal email addresses for work-related messages contradicted the national trends, with 47.0% of New Yorkers doing this all the time as compared to just 9.0% nationally. 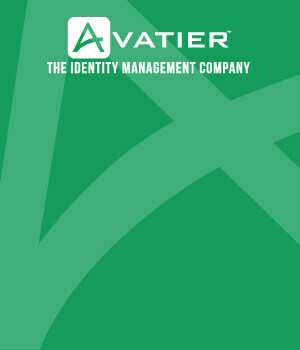 Avatier offers business solutions for identity management, user access, and password management that help your business streamline email and account access. Implementing our solutions increases digital security to levels that exceed military standards and protects your organization from the vulnerabilities inherent when employees are using personal email accounts for work-related tasks. 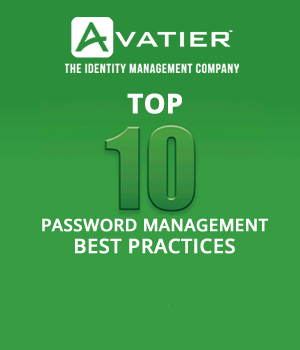 Learn more about Avatier’s password management solution to help your business streamline email and account access: https://www.avatier.com/.